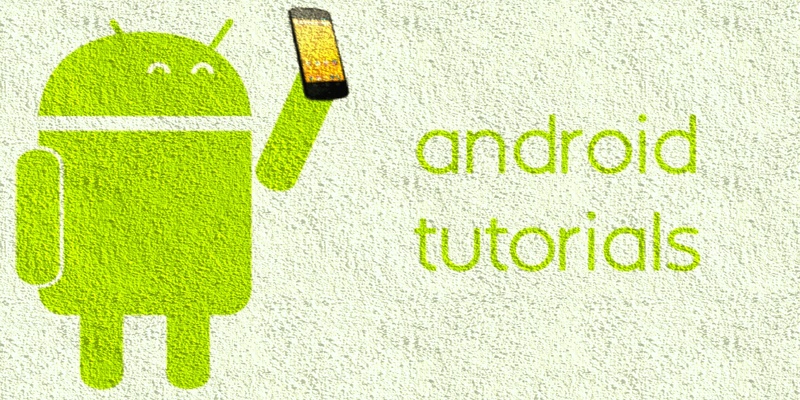 Here is a report on Android Operating System, devices, market share, etc. up to May 2016. Have a look at the video for the same. Ringing Bells has launched the cheapest Smartphone Freedom 251 in India which is priced Rs 251. The company launched this phone on February 17, 2016. The phone is launched by Union Defence Minister Manohar Parrikar. The freedom 251 is queued with the Prime Minister Narendra Modi’s vision of empowering India. The is aimed at providing people Freedom to Flaunt, Freedom to Capture, Freedom to Connect, Freedom to Explore and Freedom to Talk. The Online Freedom 251 Mobile sale is stopped today because of heavy traffic on the site, the company decide to resume to Online Mobile booking by tomorrow on 19th Feb 2016. It is not confirmed news but hope for the best and visit the page again to check the available option for Freedom 251 registration. If you have any more news about Freedom 251 mobile phone then use comment section to give inputs. Still it is unclear that whether Ringbell Freedom 251 will be available on Paytm, Flipkart, Snapdeal or Amazon.com. We will update you if the Smartphone will be available for sale online on said sites. Meanwhile you can register for Freedom 251 on the given below link so you can cross the first step. Mobile launched on 18 Jan 2016 but due to heavy traffic on site it postponed to tomorrow on 19 Feb 2016. Hopefully everything will be alright and again mobile will be ready for registration or buying. The government Mobile Freedom 251 was unveiled in grand ceremony on 17 Feb 2016 by Shri Manohar Parrikar. The mobile development got full support from Shri Narendra Modi government under the Make in India yojana. The phone comes with one year additional warranty. Visit the freedom251.com from your internet enabled mobile/laptop and click the buy button given on the site. Rest procedure is very simple, just have to put the right information, you used to provide on the online shopping sites like Flipkart, amazon, Ebay, Paytm and Shopclues. 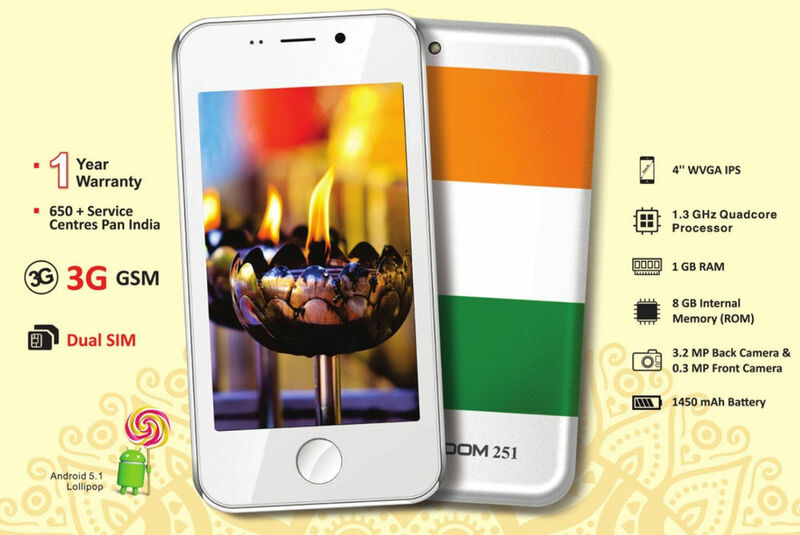 Ringing Bells Freedom 251 Specs: The 1.3 GHz Quadcore Processor of Freedom 251 gives you fast and responsive performance. The phone has enough storage space of 1GB RAM and 8GB internal memory. It supports SD card which is expandable up to 32 GB. The 1450 mAh battery of the Smartphone gives you enough time without charging in between to use the mobile phone for talking, watching video or playing games. The 4 inch Smartphone has HD display and it gives you freedom to watch videos, images and to play games. The 3.2 Mega Pixel auto focus camera and 0.3 Mega Pixel front camera gives you freedom to capture images and have facility to take Selfie in reliable cost of the Smartphone. You will remain connected to your family and friends anytime and anywhere. You get 1 year of warranty on Freedom 251, the cheapest Smartphone manufactured in India. There are more than 650 service centres present across India. Dual SIM, front camera, 3G GSM and many more features are available in Smartphone at only Rs 250. You can enjoy the freedom through the lowest price Smartphone. Once Freedom 251 Phone available online, we will let you the procedure to How to buy Freedom 251 Mobile Phone from Flipkart, Snapdeal, Amazon India & Paytm.com. Till then wait for news. Just log on the freedom251.com and buy this cheapest mobile.